Stimulsoft has released Reports.Fx 2013.3 for Adobe Flex, PHP and Java with support for delivering reports through e-mail with e-mail address, subject and text options. 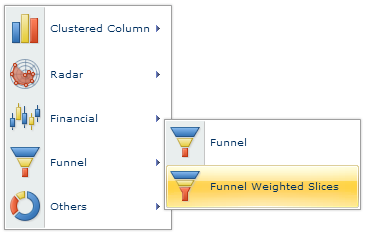 The release also includes a new addition to the chart component - Funnel Weighted Slices, which displays data in different blocks by height and it enable users to analyze the sales level. The latest release also includes AutoPageScale, which provides the ability to automatically scale the report page on the entire area of the page when printing. This feature, enabled by default in the viewer makes sure that the report is printed on the entire page regardless of the paper size. However, you can disable this option if you need not require to follow the paper size when printing items. Reports.Fx 2013.3 includes a new Bands Filter option with which developers will be able to apply relevant filter to the report during CSV export. 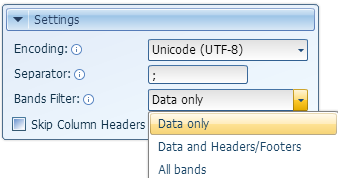 The Data Only option denotes that only data bands such as tables and hierarchical bands will be exported. While Data and Headers/Footers option will enable you to export not only data bands but also their headers and footers, All Bands option provides an ability to export all report bands.